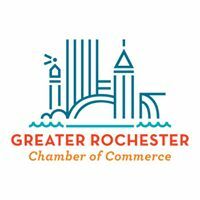 At this April 3 Rochester Chamber Business Forward event, learn how organizations have invested the time and effort to complete a 360 degree efficiency assessment of their operations. Outcomes from these assessments can help leaders improve efficiency and productivity, increase customer service satisfaction, combat redundancies, reduce waste, and increase profit. 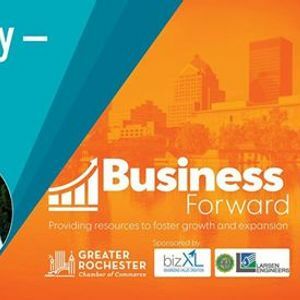 Presenters Ram Shrivastava, CEO of Larsen Engineers and Chander Sharma, Founder and Managing Partner of BizXL Solutions plan to share examples of organizations that have achieved savings and how investing in business and energy sustainability today improves budgets and productivity tomorrow. Chander Sharma is an engineer with an MBA from Cornell with over 20 years of experience. He is an operations and strategic leadership executive with international experience in business transformation, change management and building a culture of continuous improvement. 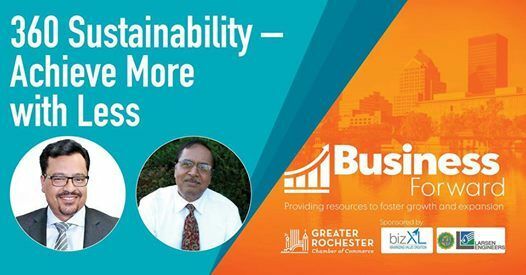 Ram Shrivastava P.E., LEED AP is a NYS certified Professional Engineer, with over 50 years of experience in sustainable green technologies. He has successfully saved over $1,000,000 for industrial clients via energy efficiency retrofits.